Our Red Haven peach tree is thriving. 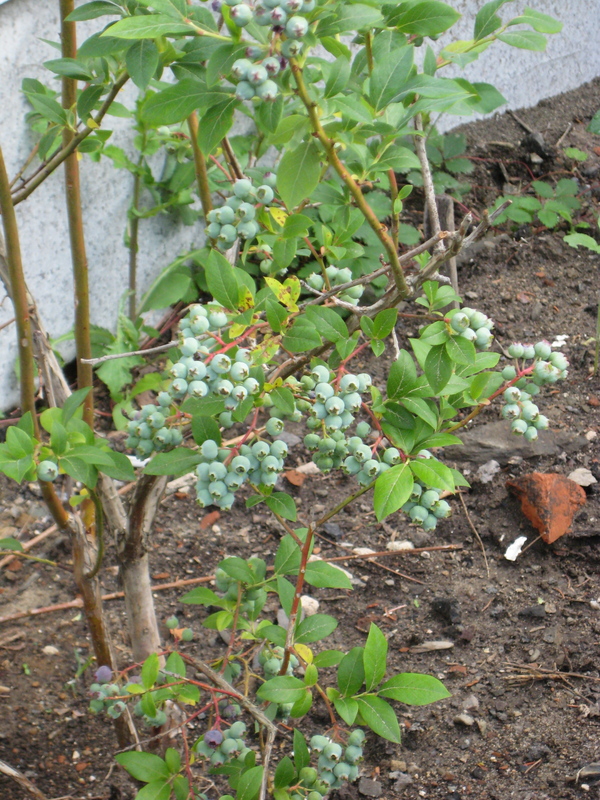 We were told not to expect fruit for about three years, but we seem to be ahead of schedule. We are novices here, and curious to learn. 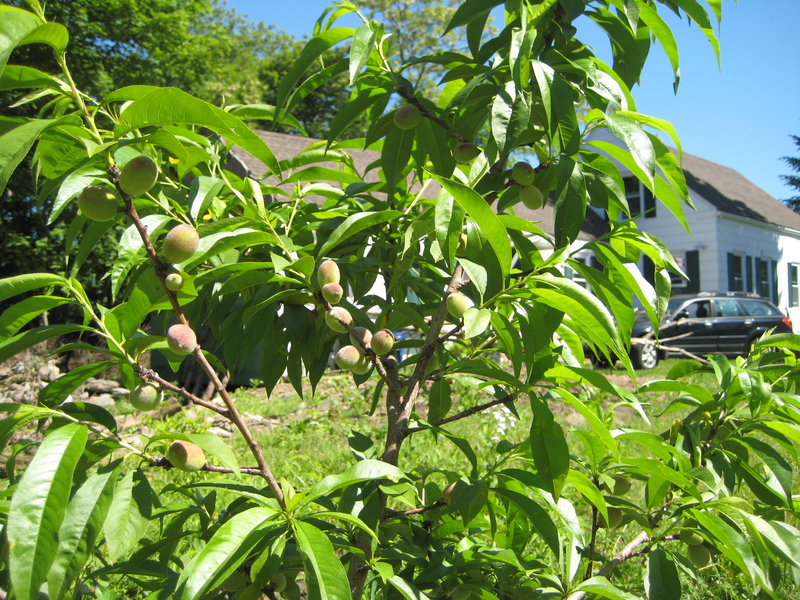 We have room – and dreams – of planting another peach tree, a couple of sour cherry trees (think pie!) and many dwarf apple trees. 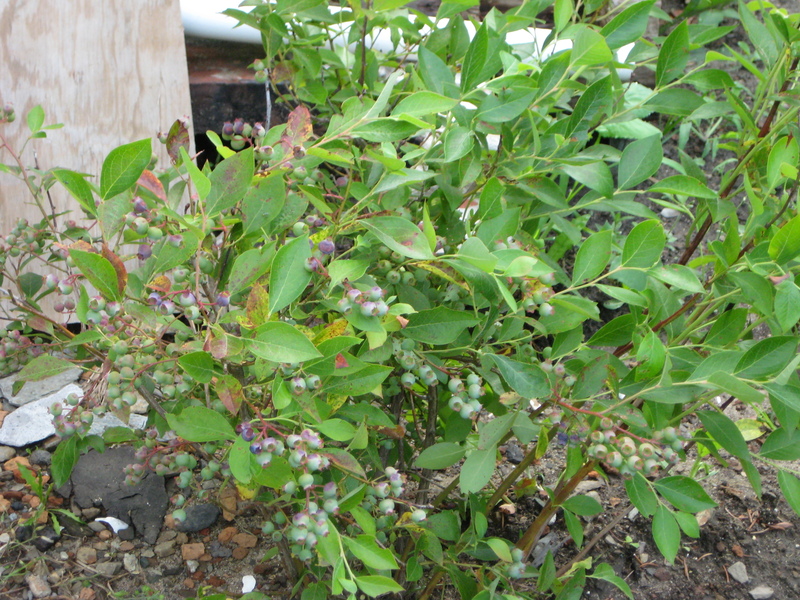 Four highbush blueberry plants fell into our possession; two one gallon plants came from a neighbor, and two quite large and developed plants came from our friends Ann & Kurt, who moved this week from Casco, Maine to New Orleans. What a great remembrance to have fruit from their farm now transplanted here! Ann & Kurt also gave us about forty strawberry plants. These were planted yesterday, and with all the rain, the timing was right. 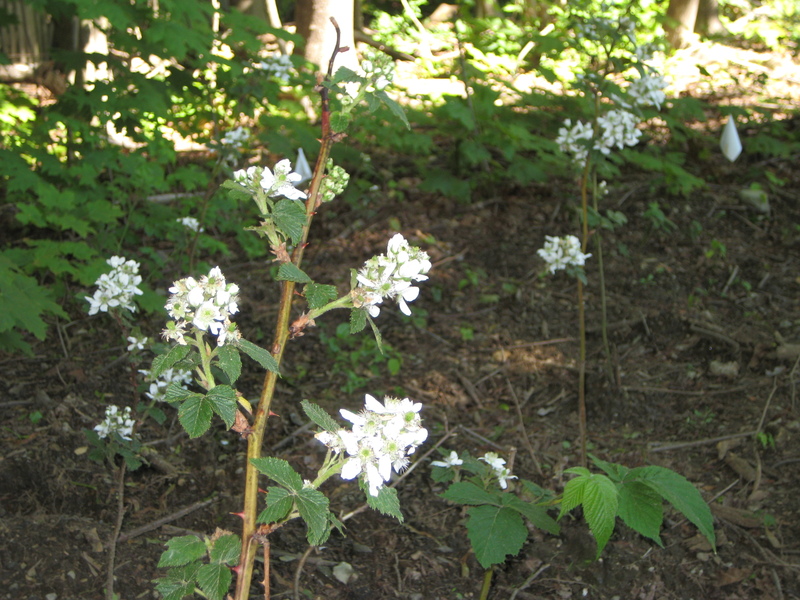 Eleven blackberry canes came from other friends. 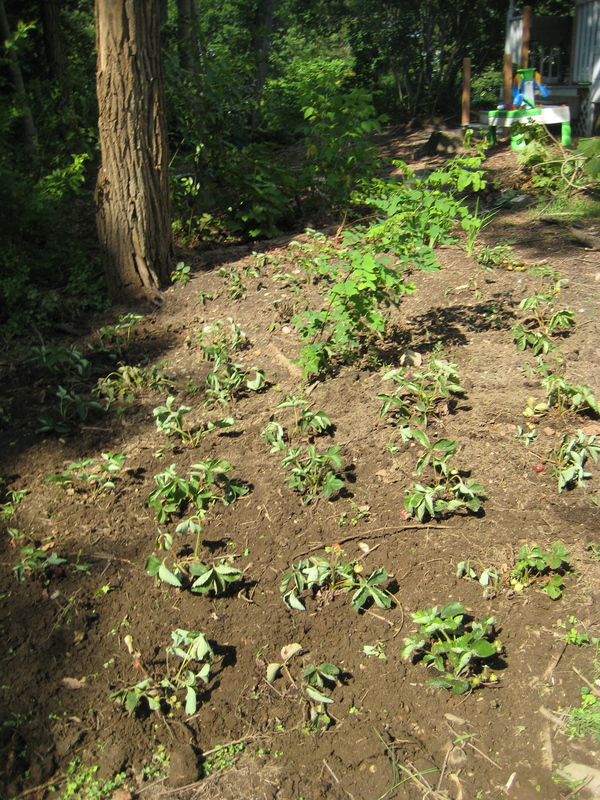 Those went along the west edge of the backyard, part shade, but those are coming along well. 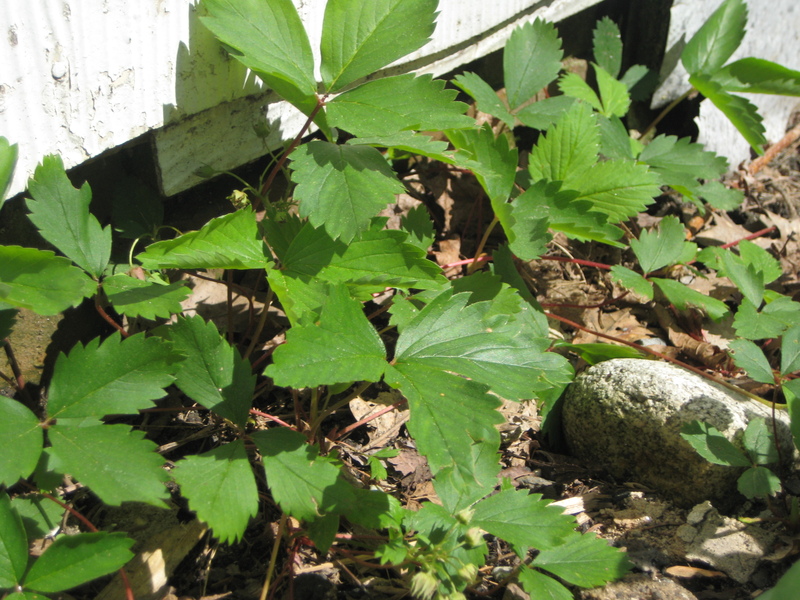 There are lots of wild berry plants – some strawberry and some raspberry (we think). The grape stock is a mixed success. One cane is thriving, while the other has done nothing. 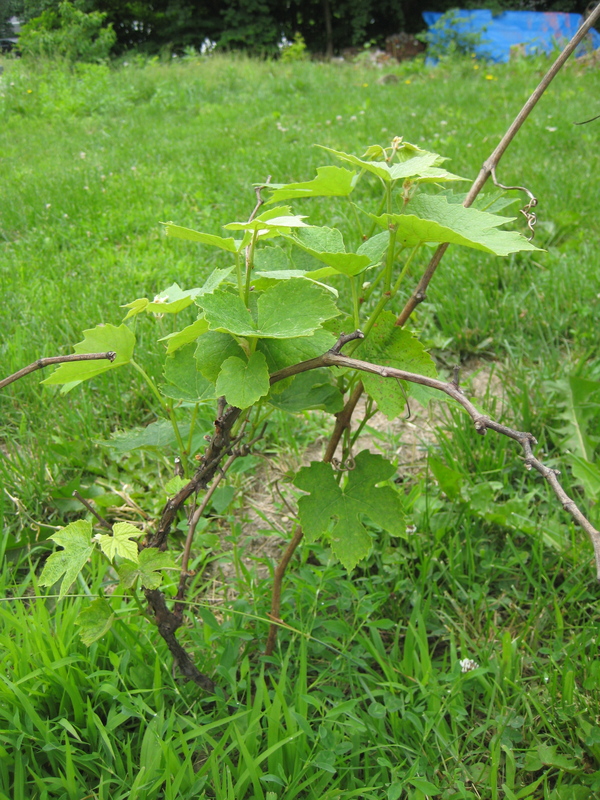 These are cuttings of a seedless champagne grape that grows at the big house, so we will take some more cuttings and see if we can’t get more started. I am preparing to build a trellis from dead black locust trees, but that project is low on the to-do list right now. So perfect. I love seeing photos and hearing about handmade lives. We were in Nova Scotia this week and visited Doug Brown, teacher at the Kneading Conference and artisan baker. Built a wood-fired oven in the room between the barn and house, and also repairs bicycles. His wife, a landscaper designer, has created a fulfilling garden of fruit trees, berries, and vegetables, and a green house too. All of it self-styled. The best bread. too fabulous! We have a sweet cherry tree yielding tons of cherries right now – in our tiny back yard! Don’t think you should settle for sour cherries. Will you have a stand to sell your fruits? And will you ship to customers?I hope so..